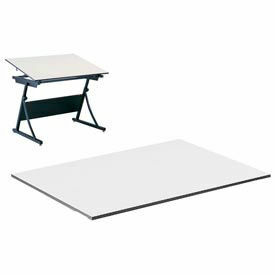 Safco® Drawing And Drafting Tables Provide Productive Work Areas For Drawing And Drafting Applications. 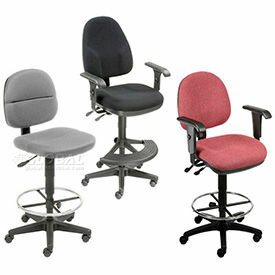 Safco® Drawing And Drafting Tables are solidly constructed for long lasting durability and dependability. Wide selection of stain resistant white melamine finish Table Tops and White or Black powder coat finish Table Bases available separately in Horizon, Vista and PlanMaster types and various dimensions. 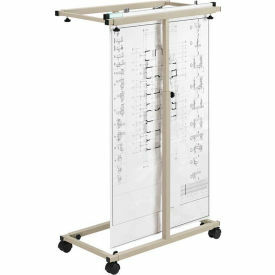 Xpressions Glass Top Drafting Table with sturdy tubular steel frame also available.